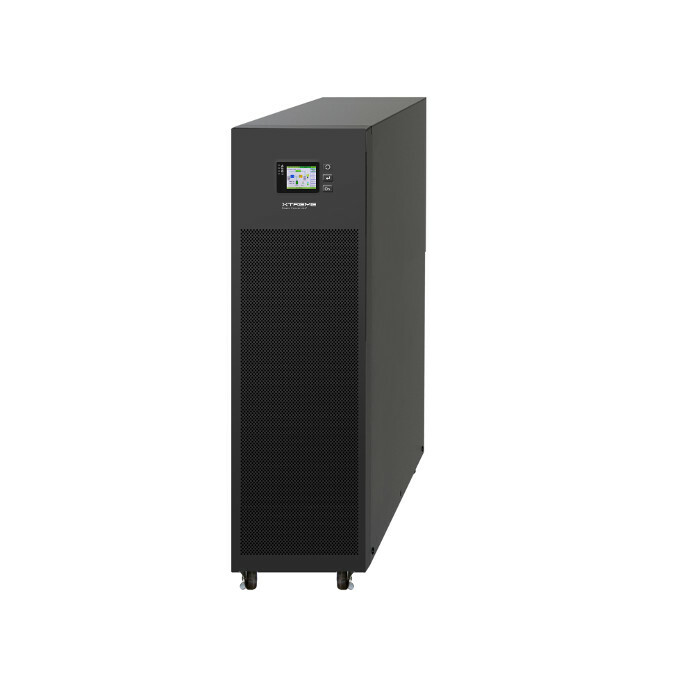 E90 UPS provides economical three phase double conversion power for small data centers, network closets, retail stores, servers and industrial applications. E90 features unity output power factor to support up to 25% more critical loads than similar competitive UPS. Up to 50% smaller than competitive units, the E90 provides an all-in-one, energy efficient solution. Extended battery runtimes are available from the E90 by adding up to four matching battery packs. E90 battery charger can be programmed to provide up to 20 amps of recharge current to ensure batteries are recharged quickly and prepared for the next utility outage.